We live in a world of inner sadness. People long to experience the joy of being definitively loved and definitively loving. 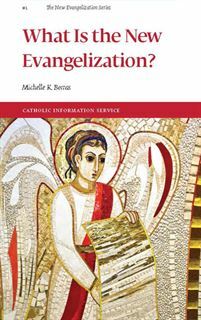 Evangelization is the communication in words and in life, in prayer and in silence, in action and in suffering, of a love that both embraces man and infinitely surpasses him. It is the communication of joy. This joy is bigger than man because it comes from God. But precisely for that reason, it is the only joy that can satisfy the insatiable hunger of the human heart. We cannot quiet the question about God in our hearts. We cannot rid ourselves of an insatiable need to love and be loved. We cannot deny that there is something in us that wants us to be human in the most profound sense: to seek truth, to be free, to encounter the beautiful, to be true to our conscience, to love. 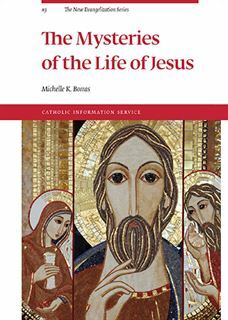 As three young 20th-century converts help us to see, Jesus Christ, true God and true man, is the only adequate response to this most fundamental of human questions. In revealing to us the God who loves us “to the end,” Jesus reveals to us the full truth about man. The life of Jesus Christ contains inexhaustible depths. It reveals the God who “so loved the world” (John 3:16) that he would bind himself to his creature forever. And because it shows us our destiny and our salvation, the life of the incarnate Son of God reveals the full truth about man. 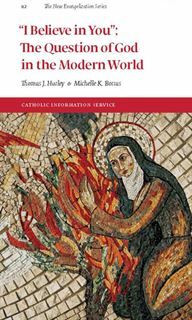 In the spirit of Mary, who pondered the events of her son’s life in her heart, this booklet seeks to help the reader enter ever more deeply into the “great mystery” of the incarnation. The Christian belief that God is a Trinity is not a theory with which we try to explain God. It is the most living truth of the Christian faith, the foundation of everything else we believe and the reason behind everything else that exists. In Jesus Christ, who suffered, died and was raised, God showed himself to us as he really is: Father, Son and Holy Spirit, a living dialogue of love. 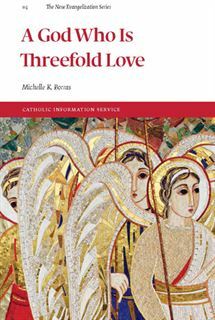 This booklet attempts to reflect on the basic Christian claim that “God is love” (1 John 4:8) – a “communion of eternal love” that invites us into itself, and that is the origin and destiny of every human life. Pope Benedict XVI taught that prayer is much more than we often think. It leads us ever more deeply into communion with the God who is the source of our life. It opens us to our neighbor. Together, liturgical and personal prayer form a single act of loving worship in which we discover why and forwhom we were made. 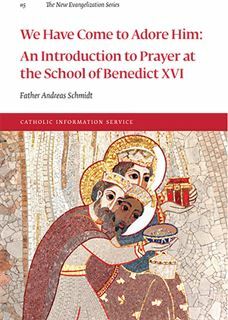 Taking its inspiration from the pope emeritus’ Wednesday audiences on prayer and remarkableexample, this booklet invites the reader to become a student at the “school” of a contemporary master of prayer. 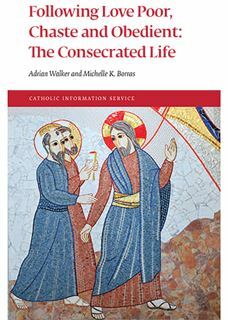 The consecrated life, deeply rooted in the example and teaching of Christ the Lord, is a gift of God the Father to his Church through the Holy Spirit. 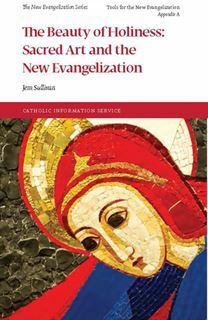 By the profession of the evangelical counsels and the charachteristic features of Jesus - the chaste, poor and obedient one - are made constantly "visible" in the midst of the world and the eyse of the faithful are directed toward the mystery of the Kingdom of God already at work in history, even as it awaits its full realization in heaven. “What is it that we are here before you to do, O Lord? 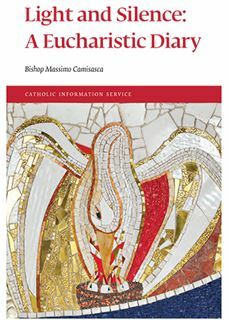 We are here above all to adore….” In these intimate reﬂections, written during moments of prayer before the Blessed sacrament exposed inhis chapel, Bishop Massimo Camisasca leads us into a profound contemplation of the Eucharist. 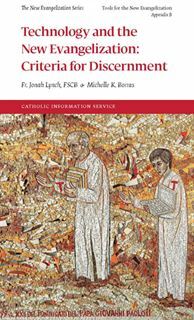 Gazing with the author at “the greatest sign of the folly of God’s love,” we enter into ever greater wonder at the gift of Christ’s defenselesspresence in our midst.